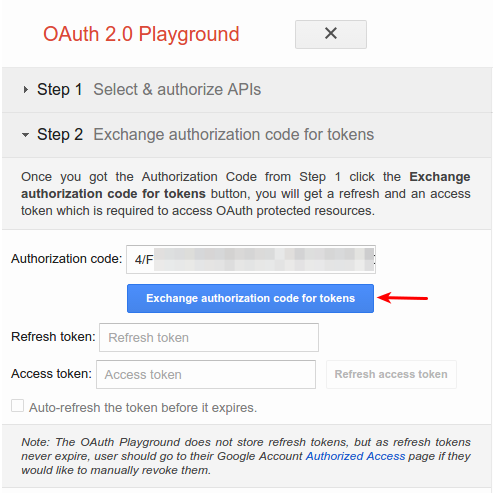 The OAuth2 Playground is for users who only need to access the accounts for a single manager account or Google Ads user. 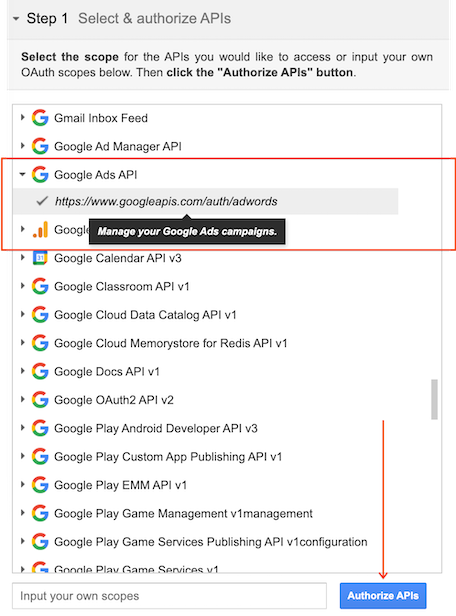 If you need to prompt multiple users for credentials, it is likely better to Configure a client library for OAuth in the Google Ads API. Warning: To use the OAuth2 Playground, you need to generate a client ID for a web application. This is the only type of application that will works with the OAuth2 Playground. Refer to Choose an application type for more information. On the Client ID page, take note of the client ID and client secret. You'll need these in the next step. If you have an existing cloud project, you can reuse it by setting the Authorized redirect URIs as above. Warning: The Google user you're signed in as in your browser determines which Google Ads accounts you'll be able to access with the OAuth2 credentials you generate. Therefore, you may want to do these steps in an incognito window or when you're not signed in to your Google account, since it's likely that the user whose credentials you want to use isn't the same user you were signed in as when you got the client ID and secret. 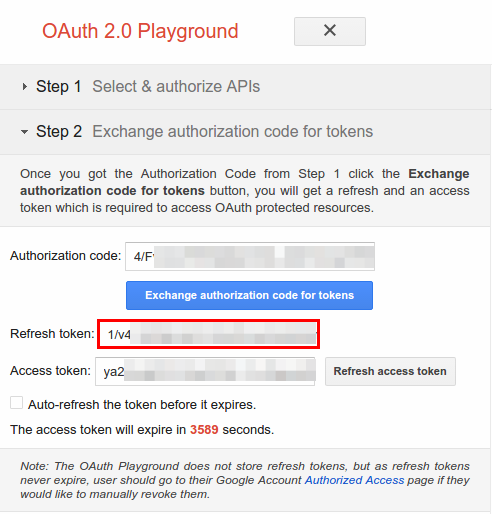 Go to the OAuth2 Playground, (using this link should pre-populate some key values for you). If prompted, sign in to the account to which you want to grant access and authorization. Otherwise, confirm that the current Google user in the top right corner is the Google Ads or manager account for whom you want to obtain credentials. In the tab labeled Step 2 - Exchange authorization code for tokens, an Authorization code should appear. Click Exchange authorization code for tokens. Copy the Refresh token into the configuration file for your client library of choice, along with the client ID and client secret. 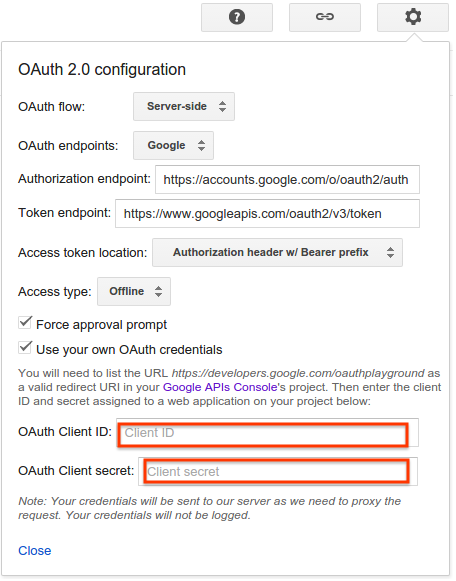 Configure a client library for OAuth in the Google Ads API.